After our trip to Wales, Gareth and I traveled to London for a long weekend before returning to Chicago. It was great to sample so many different types of food. Here are some highlights. Lamb Pizza: We went to a Lebanese restaurant in Covent Garden called Sofra (www.sofra.co.uk/) and Gareth ordered lamb pizza. Yummmm. 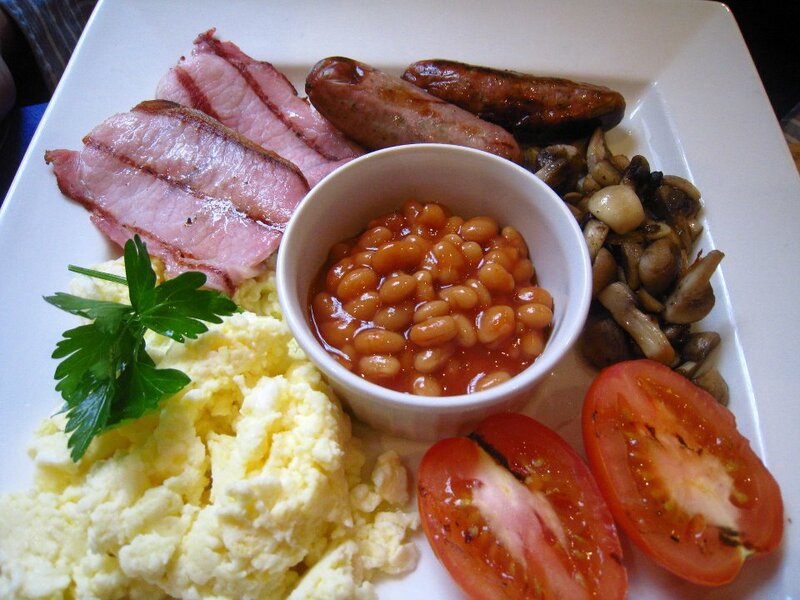 Full English Breakfast: This was Gareth’s breakfast order at a small cafe we found. Complete with baked beans! 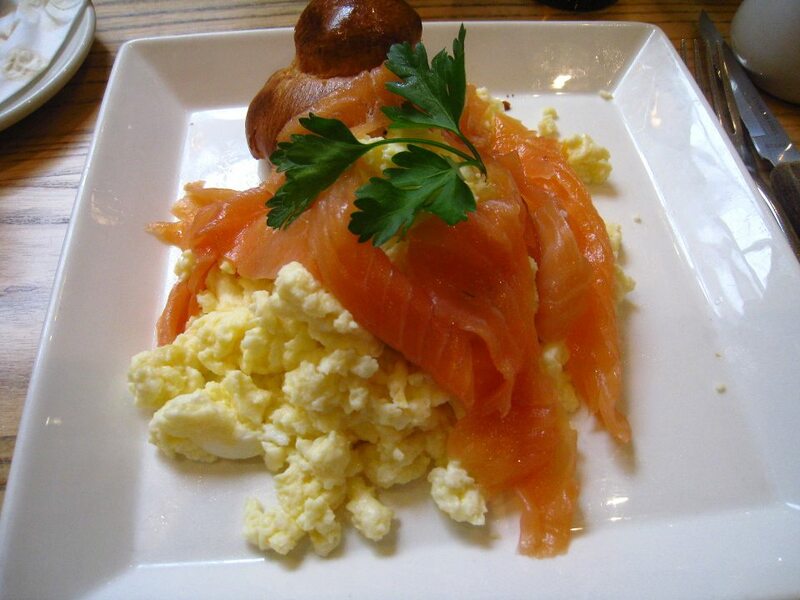 Smoked Salmon & Eggs: This was my breakfast choice at the cafe. It was a fresh and light way to start the day, not too filling. 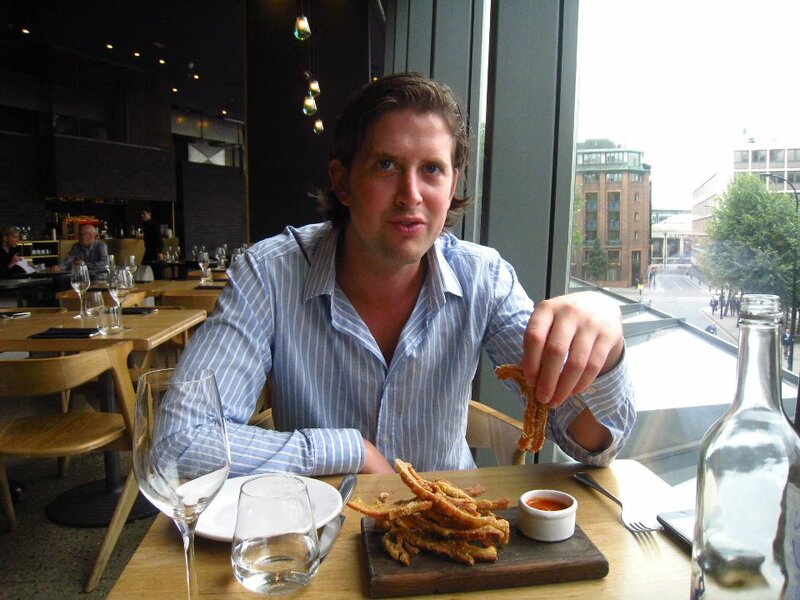 Pork Scratchings: Gareth was very happy about his order of pork scratchings at Jamie Oliver’s restaurant Barbecoa (www.barbecoa.com) near St. Paul’s in London. 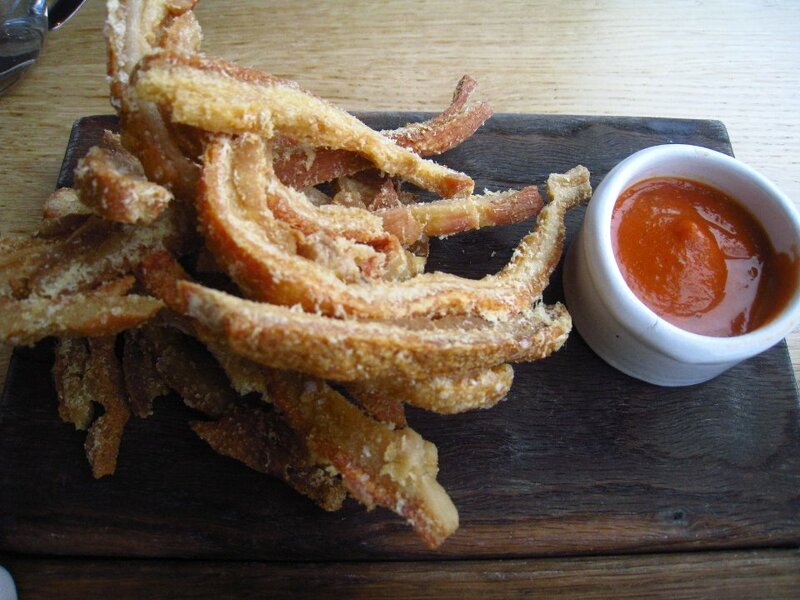 Pork scratchings are fried pig skin (also called pork rinds or cracklings). Doesn’t he look like he was caught in the act? 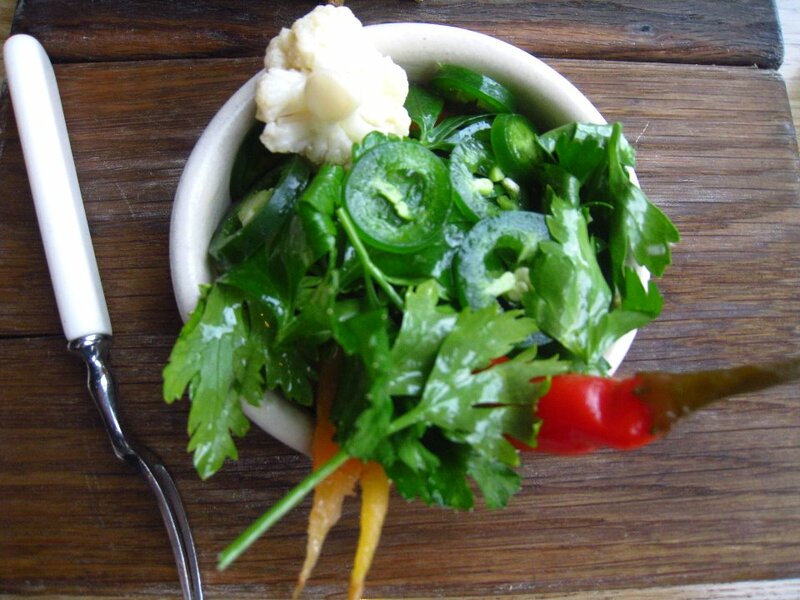 Pickled Vegetables: My starter at Barbecoa was pickled vegetables, because clearly I love anything pickled. Lots of hot peppers! 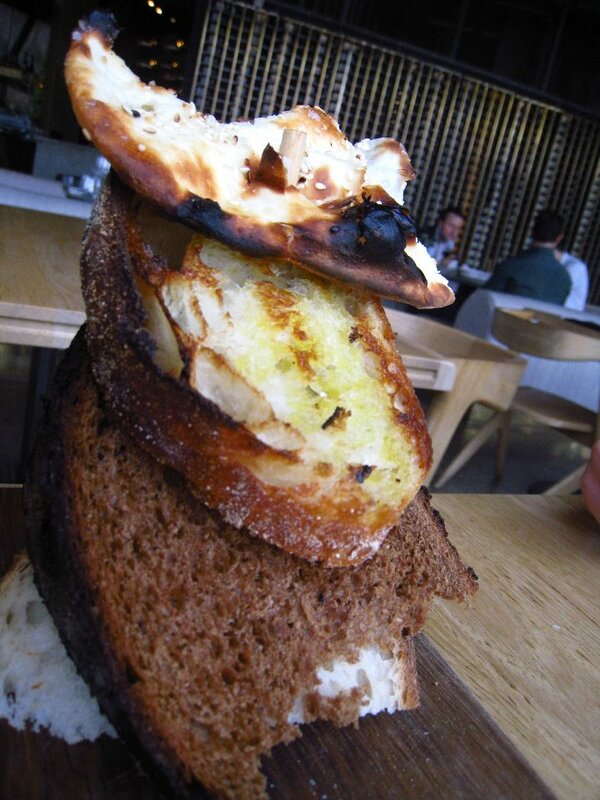 Bread: As a result of all the hot peppers, we ordered a TOWER of bread. 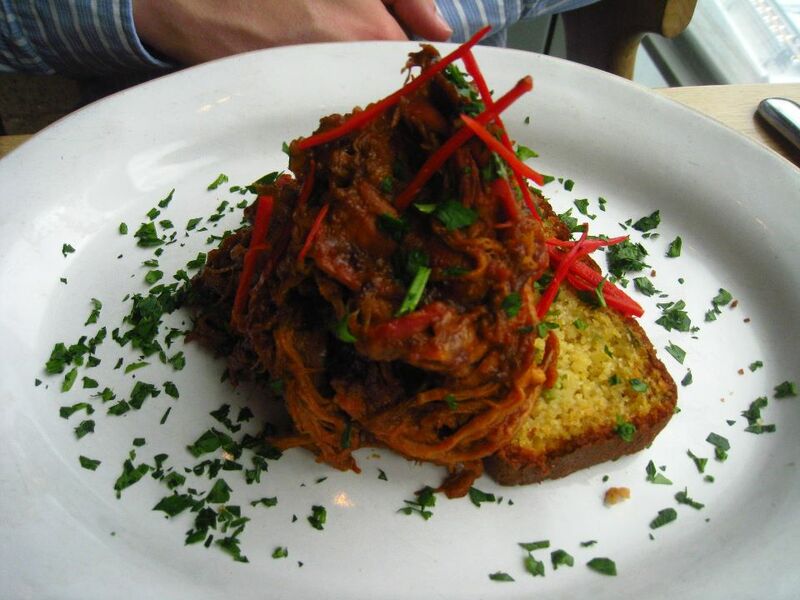 Pulled Pork Shoulder: As Gareth’s entree at Barbecoa, he ordered pulled pork shoulder on cornbread. Calamari with Smashed Avocado: As my entree, I went for a starter (as I was filled up on bread). 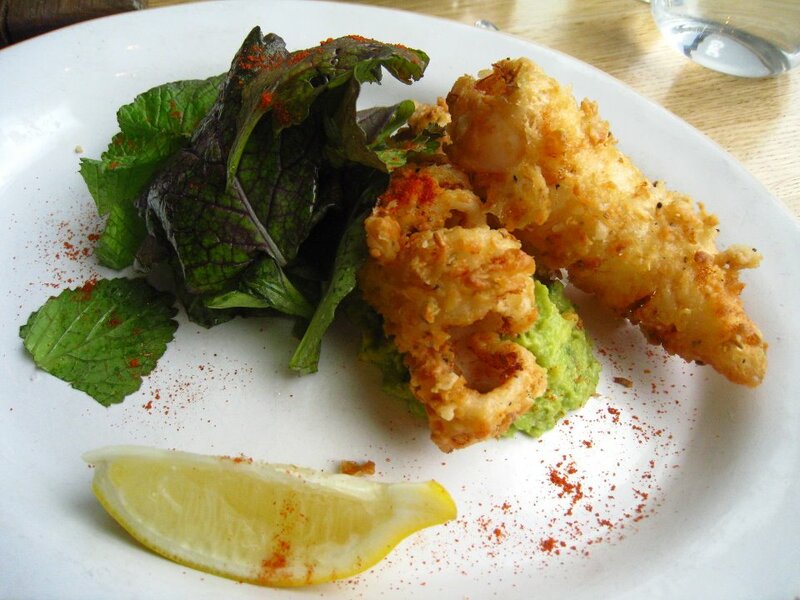 The calamari was light and tastey with lemon, avocado and a hint of hot pepper. 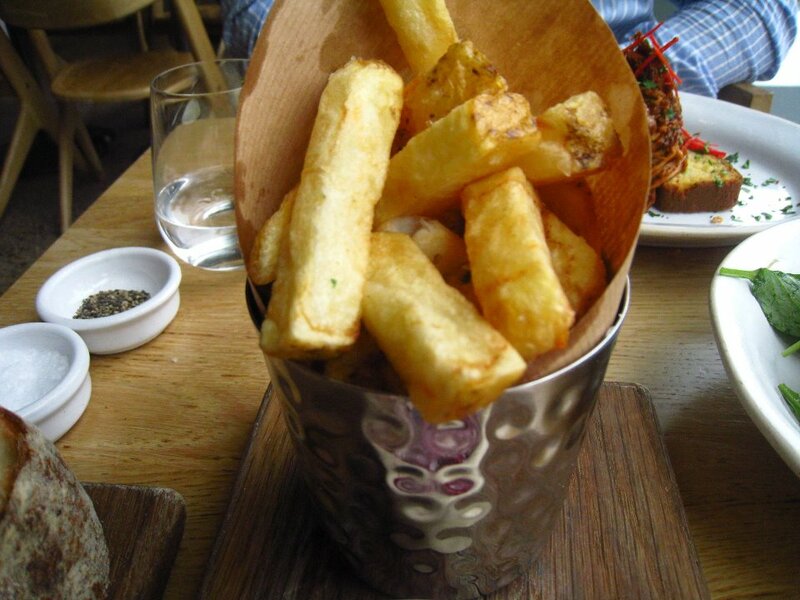 Duck Fat Chips: (aka fries) We also got these at Barbecoa. Potatoes fried in duck fat? Enough said. Wow those pork rinds look sinfully delicious! Great photos Betsy!! Wow ! 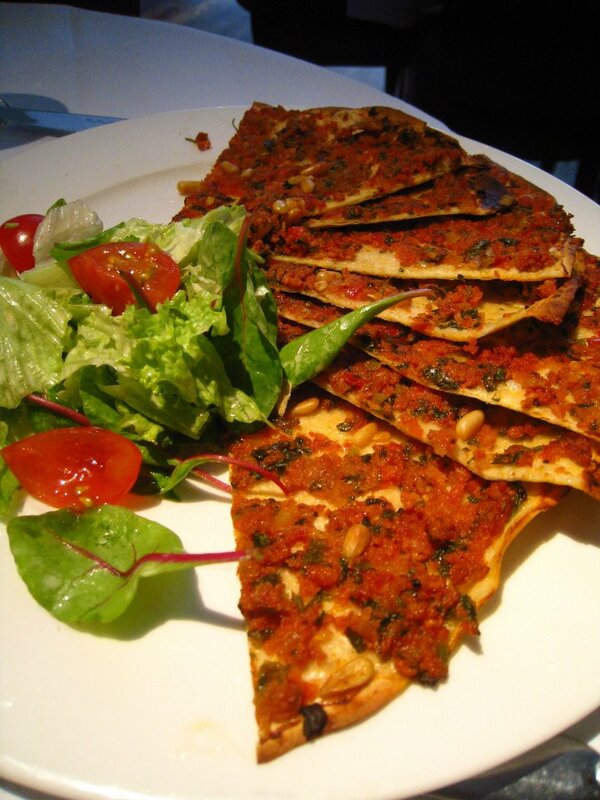 I am pure vegetarian but i would like to eat this delicious food.